Keep your website up-to-date, fresh and effective. What is included in the website content updates? How many updates can the client request? Our content updates include items such as addition of pages, changes to photos and graphics on the site, changes to website content such as adding of paragraphs etc. This however does not include any changes to the site design itself. We do not set limits on the number of requests the client can make. 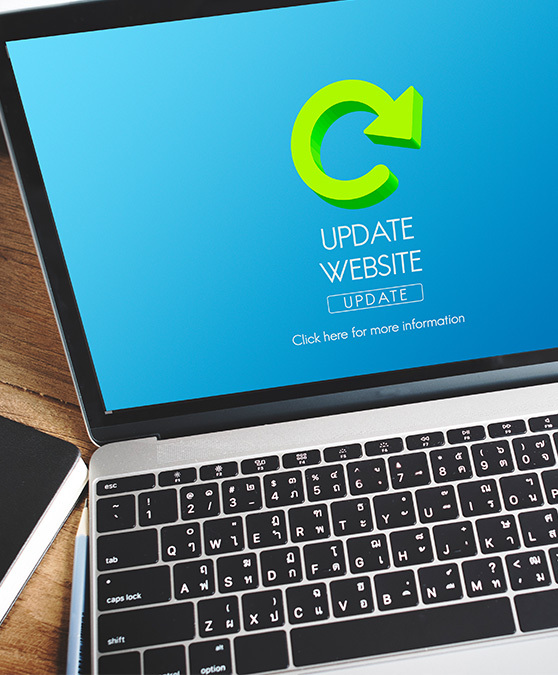 However we do reserve the right to negotiate the contract if the frequency of updates increases unexpectedly or if support is required beyond the normal updates to the website. What kind of technical support do you provide? What does it involve? What does security updates and backup services include?